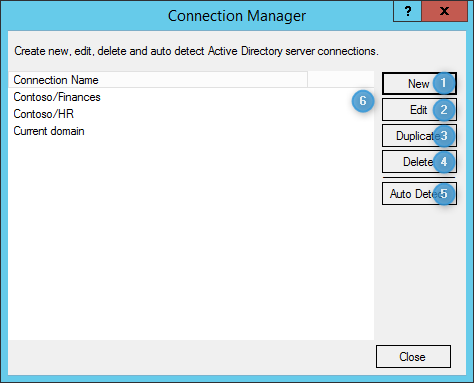 Connection manager helps you to manage various Active Directory connections and their settings. Connection in AD FastReporter consists of name, domain name, user credentials, domain controllers and search root. Connection manager can be used in single domain configuration to, for example, create various connections on the same domain but with a range of search roots. Tries to automatically detect AD domain settings.